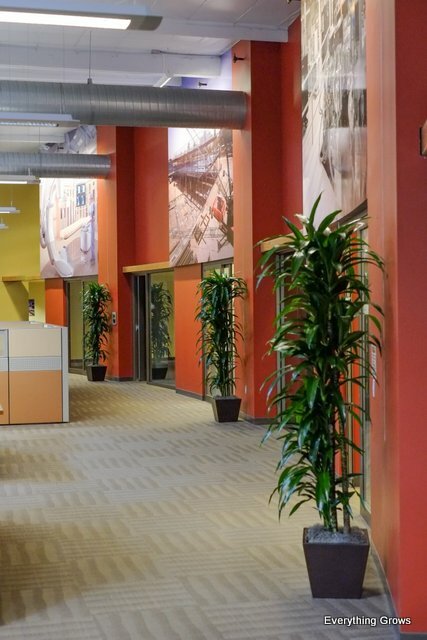 These Dracaena Lisas pictured above are tall and dramatic and beautifully complement the lines and high ceilings of this space. Even the rich green color of the leaves makes a statement against the bold wall colors. 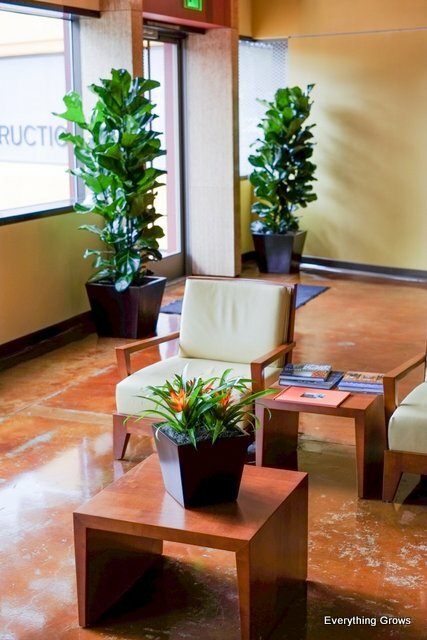 These Ficus Lyrata Columns frame the main entrance and will do very well with all of the natural light streaming in the windows. A bowl of Orangina Bromeliads accent the sitting area in the foreground. Very informative post Thanks for sharing with you, I appreciate this information thank you again for sharing information like this!……..